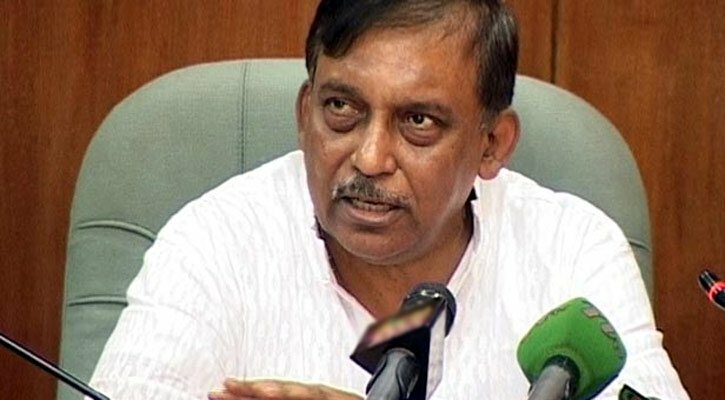 Home Minister Asaduzzaman Khan Kamal on Saturday said that the government was following a zero tolerance policy to control the drug business in the country. Replying to the queries of journalists about the frequent incidents of killing in reported ‘gunfight’ recently, Asaduzzaman said a magistrate usually investigates such issues and the inquiries were underway. The minister also said that proper action would follow upon probing every occurrence of assault on journalists by police. The minister said nobody is above the rule of law even the police, government officials or Member of Parliament (MP). If anyone does any offence, he has to get the punishment. He said investigation is underway on assault of journalists in the city’s Mohakhali and if the people, against whom allegation has been brought in, are proved guilty they would be punished. On May 17, private television channel DBC reporter Aditya Arafat was assaulted by police while he was gathering footage of an accident at Mohakhali Flyover. Meanwhile, in past eight days a total of 14 people were killed at different places across the country during ‘gunfights’ with law enforcers.